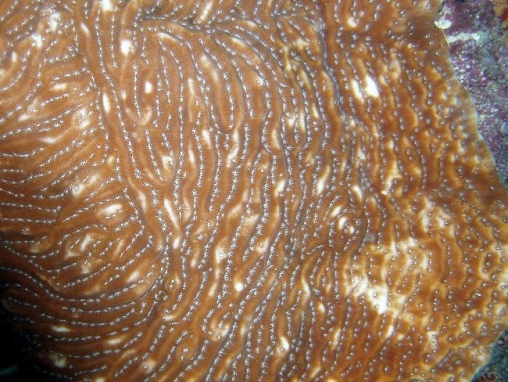 Colonies form flat plates, with calices on the upper side only. 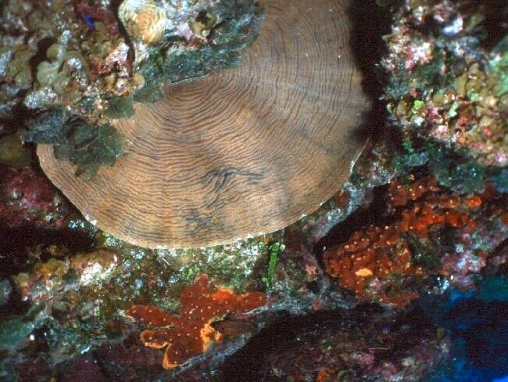 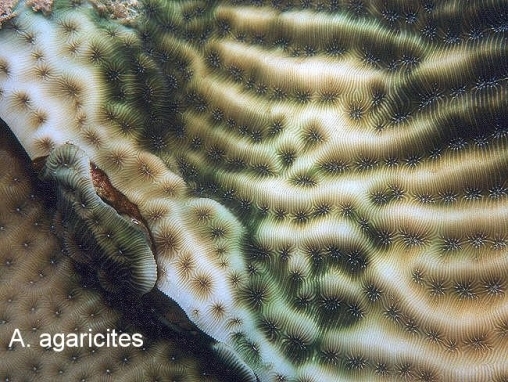 Usually plates are single but large colonies can form flattened whorls. 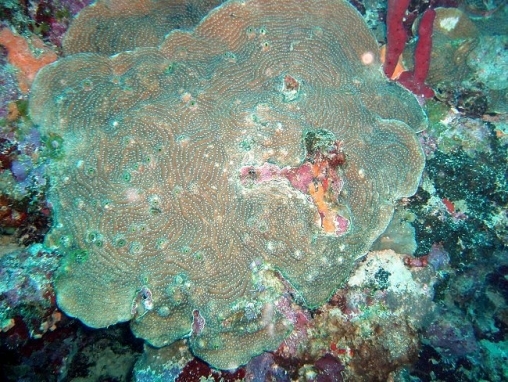 The skeleton is dense and centres of large colonies are thick. 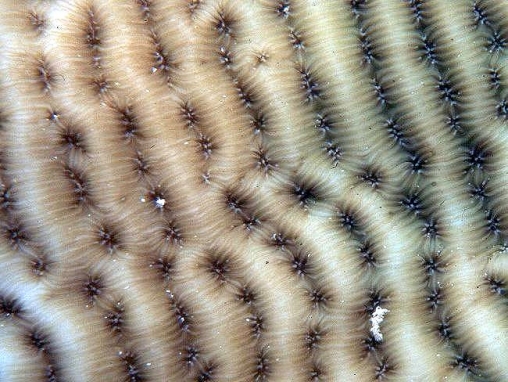 Ridges tend to be rounded. 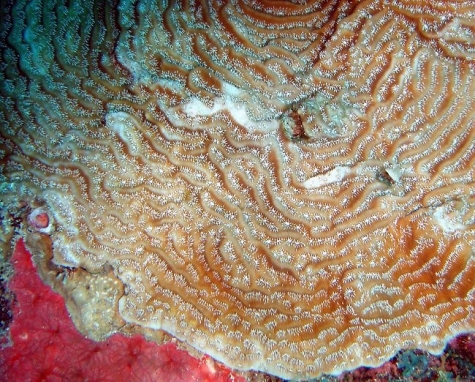 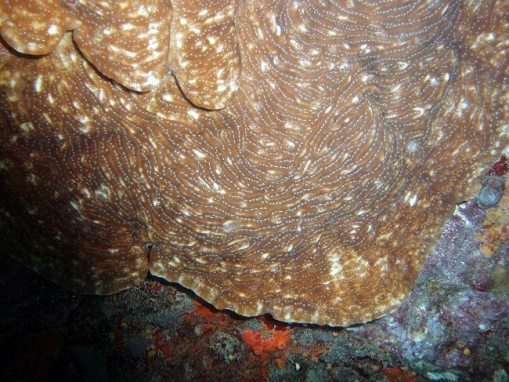 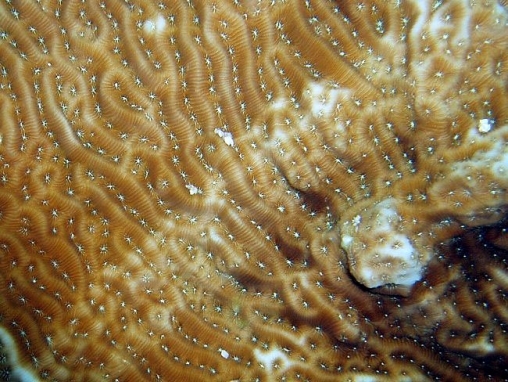 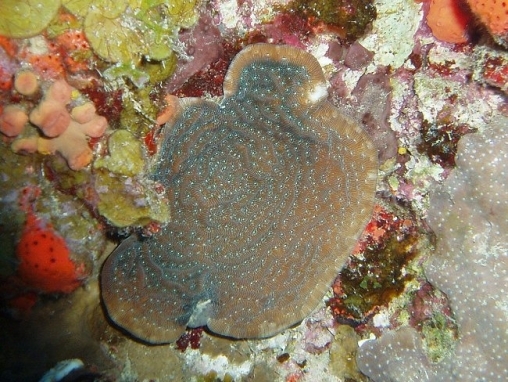 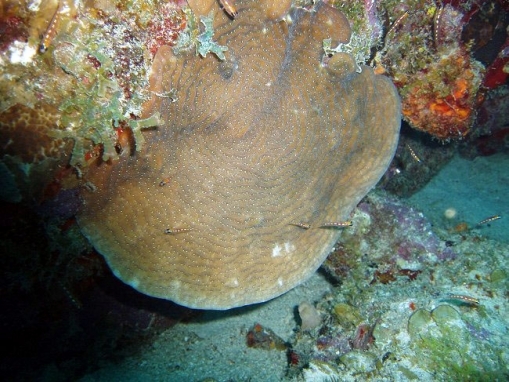 The most conspicuous feature distinguishing this species is the much paler, or even white, colouration of each large, starfish shaped polyp, which is in strong contrast to the brown surface of the connecting tissues over the long, rounded ridges.